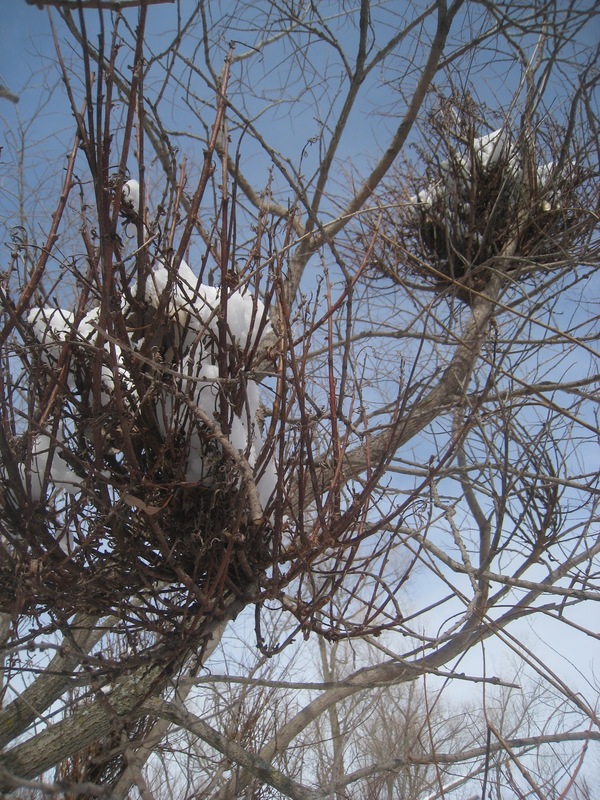 The dense clumps of twigs on this willow (Salix sp) are known as Witches' Brooms. It's not a normal growth pattern, but is caused by a type of bacteria known as a phytoplasma. It seems not much is known about phytoplasms. Here's what I have gathered, mostly from the U of MN extension service. 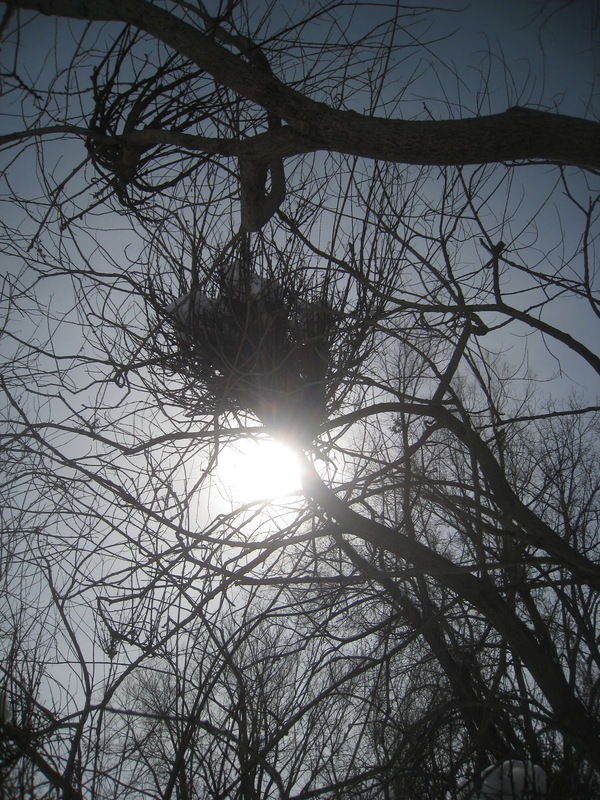 They are extremely difficult or impossible to culture outside of their host organism. Their presence does interfere with the health of the plant. Most are unidentified to species or genus. There's probably a secondary host insect that spreads the phytoplasm to new trees. Willows seem to be able to partion off the infected areas, leaving the rest of the plant uninfected. 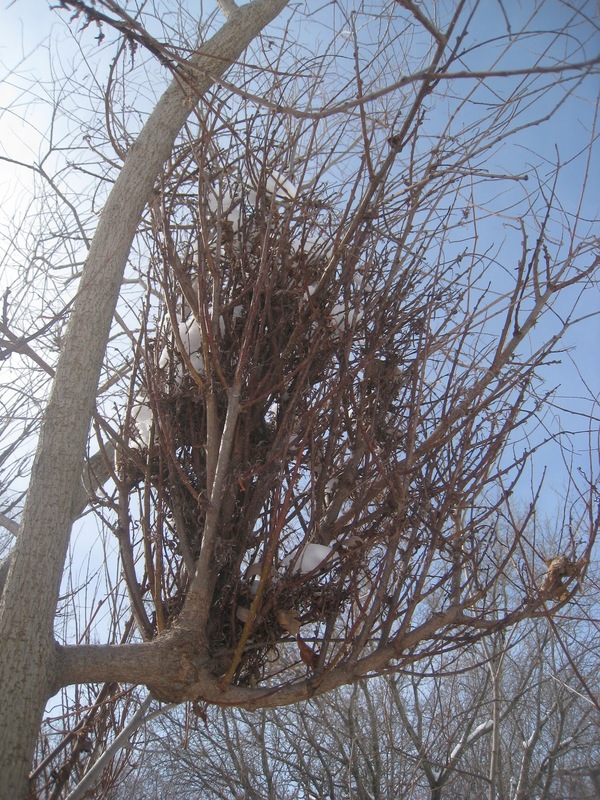 It's not actually known for certain that Witches' Brooms on Willows in MN are caused by phytoplasms. 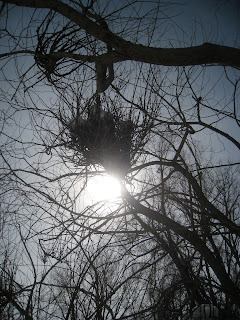 I see Willow Witches' Brooms on regular basis at Westwood Hills Nature Center. It surprises me that something so conspicuous has so little know about it.